One Earth, One Family – Thank you! 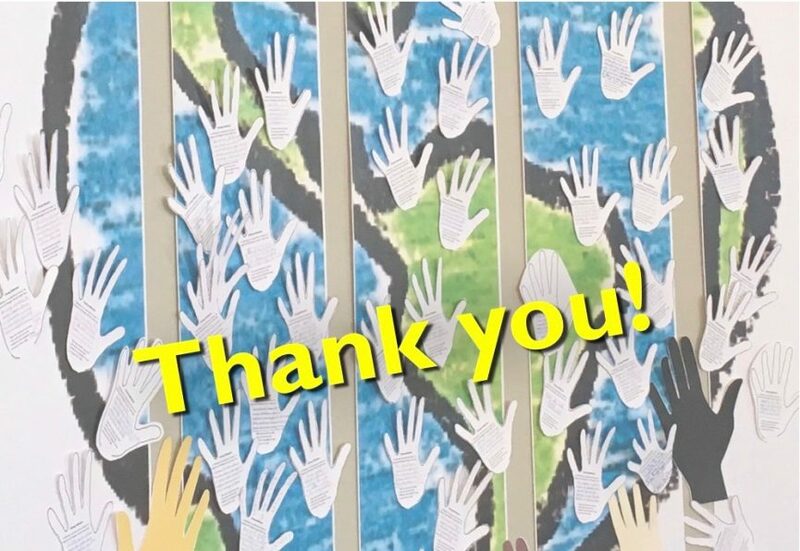 Thank you to everyone who participated in our Week of Prayer in support of Migrants and Refugees this past week, and for sharing a reflection on your experience on our One Earth, One Family mural in the Worship Space. If you are completing the week of prayer booklet this week, please remember to bring your hand-shaped reflection to the liturgy this weekend and we will include it on our mural!